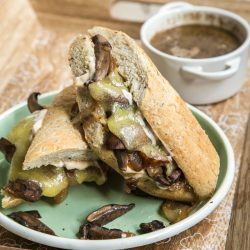 Celebrate your next Meatless Monday with some vegetarian Portabella Mushroom au Jus Sandwiches! Hearty Portabella mushrooms gives these a meaty texture without having meat in them. And butter caramelized onions make these ultra decadent, especially when you melt white cheddar cheese on top. 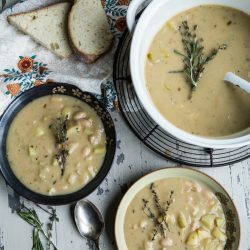 The use of vegan homemade Worcestershire sauce makes these vegetarian friendly, but if you would like to use traditional Worcestershire sauce, you can too. Just know these won’t be 100% vegetarian. Either way, these are filling and absolutely messy to eat! I try my best not to eat out at work, but when I am running all over an entire airport, I have to take my whole life with me. My pumping backpack is with me at almost all times just in case my meetings run long, and sometimes I can’t just bring lunch if I have something that needs to get heated up. So on those days, it’s to the concessions I go. THANKFULLY we are in the throws of renovating the entirety of the concessions at the airport and one of the newest is a local restaurant called Floret. Cafe Flora is the home-store of our airport offshoot, focusing on vegetarian cuisine and every single bit of it is delicious! Coincidentally I went twice this last week and had the same thing both times – the mushroom au jus. So I decided to make my own on Sunday. Now I’m obsessed. 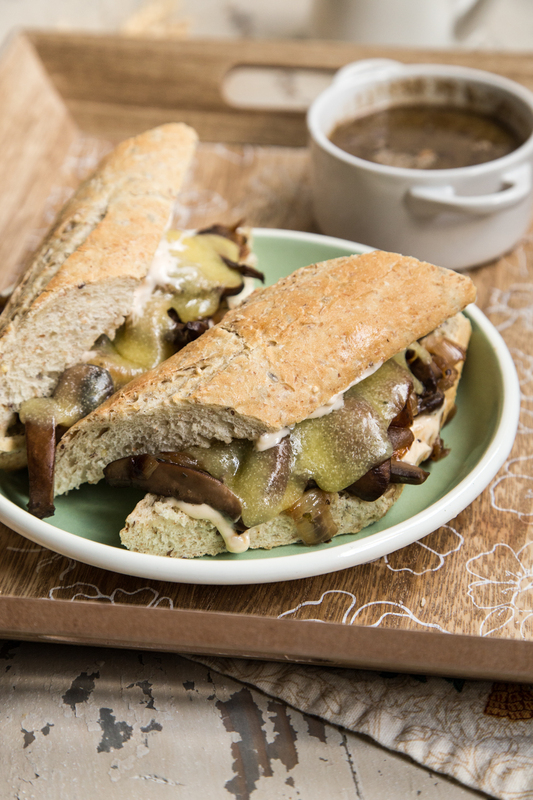 If you’re not totally “sold” on mushrooms and onions in a sandwich, please reconsider! The garlic sriracha aioli is going to push this whole thing over the edge and the butter soaked onions can’t be beat. If this is how vegetarians ate every day, I would have no qualms about giving up meat. Preheat a large non-stick skillet over medium high heat with 2 Tablespoons of butter and caramelize the onions until deep golden brown, stirring occasionally for about 20 minutes. 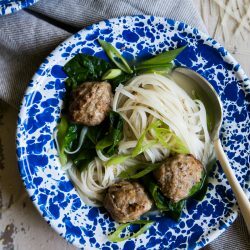 Remove the onions and set aside in a bowl. Add in the remaining butter and saute the mushrooms, being sure not to overcrowd them – work in batches if necessary – for about 5 minutes. Pour the onions back into the skillet with all the mushrooms, and add in the garlic, Worcestershire sauce (vegan if desired), soy sauce and toss them to combine. Pour the whole batch into a strainer set over a bowl. In the same skillet (do not clean it), pour in the vegetable broth, and any juice that drips away from the mushrooms and onions. Bring the mixture to a simmer and reduce it by half. Serve it alongside the sandwiches. To make the Sriracha Garlic Mayonnaise (aioli), in a small bowl, whisk together all the ingredients. Slater on toasted baguette, and top with the mushrooms and onions. Serve with a small dish of the “au jus” on the side. Using mushrooms is seriously GENIUS! 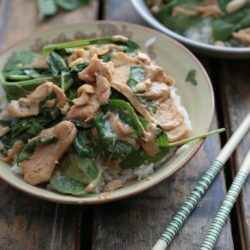 These are happening for lunch soon! Making these ASAP!! 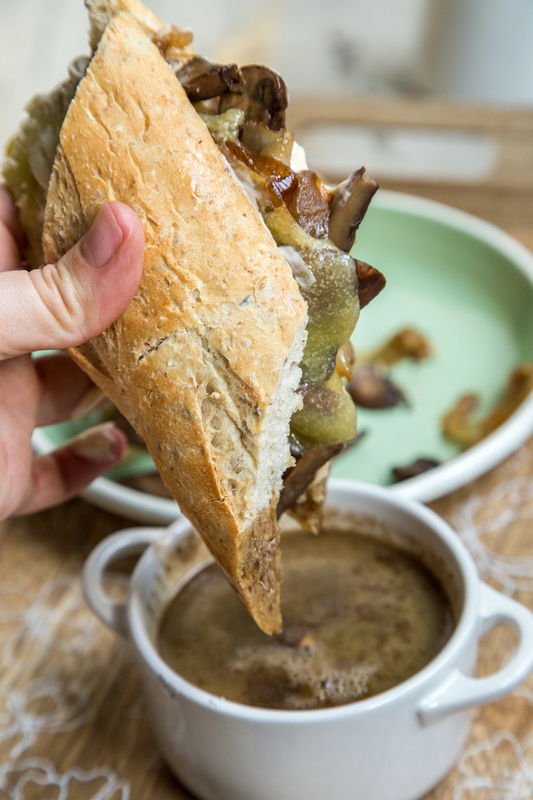 And the Au Jus….forget about it!